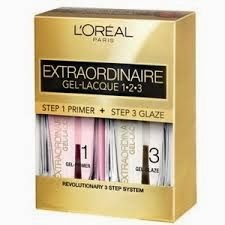 This weekend I pulled out the three steps of the L’Oréal Paris Extraordinaire Gel-Lacque system. I had been a while since I used the system and I remember liking it a lot. Steps 1 and 3, the primer and glaze, are sold together and retail for about $13 in mass-market retailers like Target and Wal-mart. The individual color bottles, like Lacqueriste shown in my swatch pic, retail for about $8. There are 21 shades available, and most are core-type colors, just nice classic colors that appear to all be a creme finish. Introducing our exclusive 3-step nail system for spectacular nails like you’ve never seen before. New L’Oréal Paris Extraordinaire Gel-Lacque provides high-gloss, and resilient shine while protecting nail color from dings, dents and scratches. 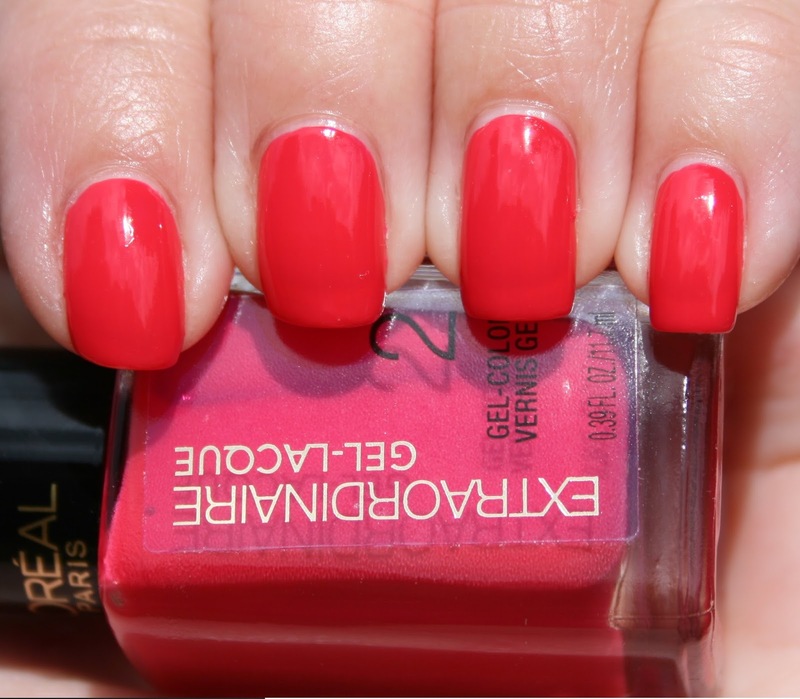 Get the high-shine of a UV-Gel and the perfect nail shape without harmful UV rays. I went ahead and added one coat of my normal quick dry topcoat after I was done with Step 3.